Click on Buy Now and return here (Energie Design) to download your software. See instruction here. iTick! 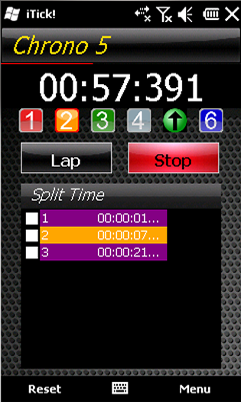 is a friendly Stopwatch with Timer. Cook your eggs to perfection with your custom predefined count-down. Time a game or a race and have an unlimited split time, etc. Your count-down will continue, loop or stop. It's your choice. Display days, hours, minutes, seconds and milliseconds as you preferred.